I would have no problem becoming a vegetarian. I could easily give up meat, and live on salads, but I do not think that my family would go along with me. My boys are meat eaters. Hamburgers, steaks, pulled pork, they are their favorites. That being said, when I put a plate of black bean cakes in front of them, they look at me funny, but the plate is always clean. I love this version because they are so flavorful. a little kick from chipotle pepper and chile powders, but they are not hot. 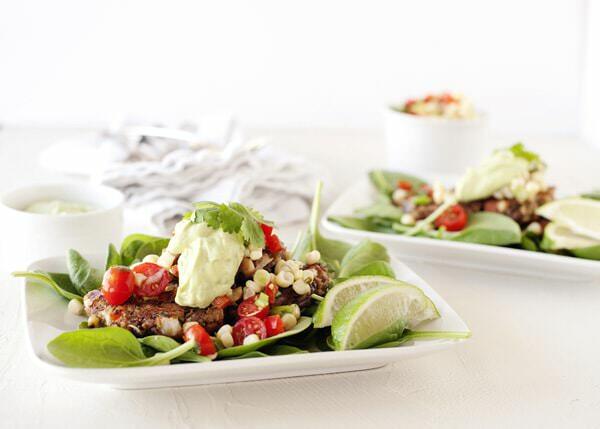 Nice freshness and crunch from the corn salsa, and creaminess from the avocado sauce. I have all of the ingredients in my house, so this is one of my go-to-in-a-rush-we-just-home-from-soccer-and-it-is-6:30-already dinners. These also black bean cakes also make a great sandwich. This post was supposed to be my Lazy Susan post for April, but it did not happen. Sorry girls! 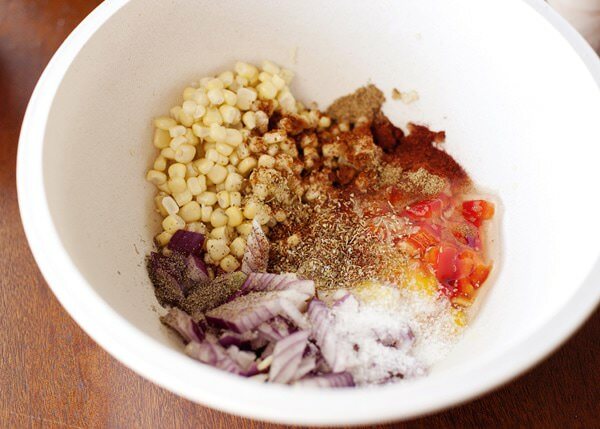 Mix together garlic, onion, red pepper, corn, egg, chili powders, oregano, and cumin. Season with salt and pepper. 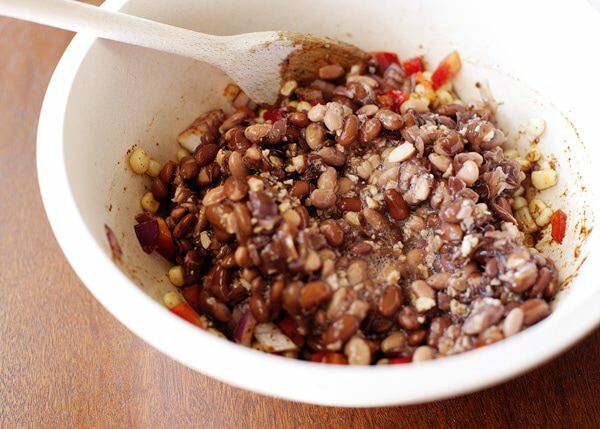 Mash the black beans a bit and add to the bowl. Stir in the bread crumbs. Form into patties, and chill in the fridge for 20 minutes or so. It helps keep the patties together. 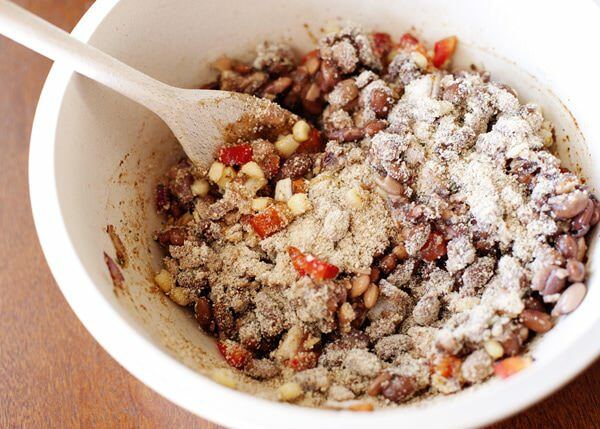 Mix together all of the ingredients for the salsa while the black bean patties are chilling. 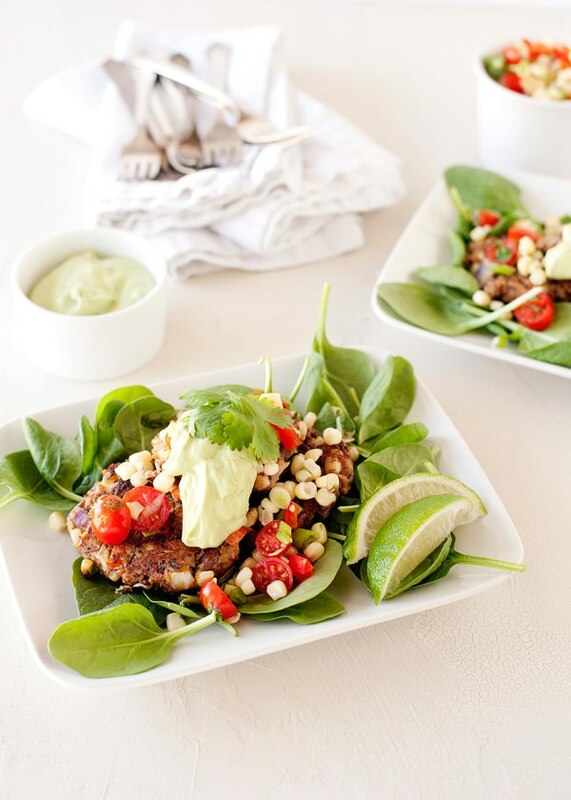 To make the avocado sauce, put the avocado, sour cream, lime, and cumin, in the blender. Season with some salt and pepper. Blend until smooth. It is a very thick sauce, you can thin it with more lime juice or some water. Heat a pan over medium heat. 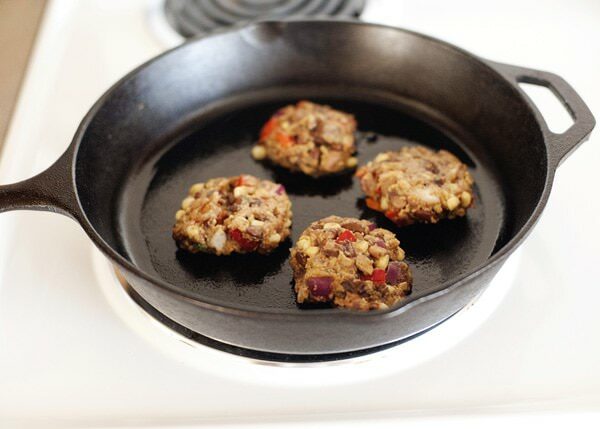 Pour in a few Tablespoons of olive oil and put the patties in the pan. Resist the urge to flip the cakes to soon. They will fall apart. Cook until they brown and then flip. Cook the other side. I put mine on a bed of spinach leaves. 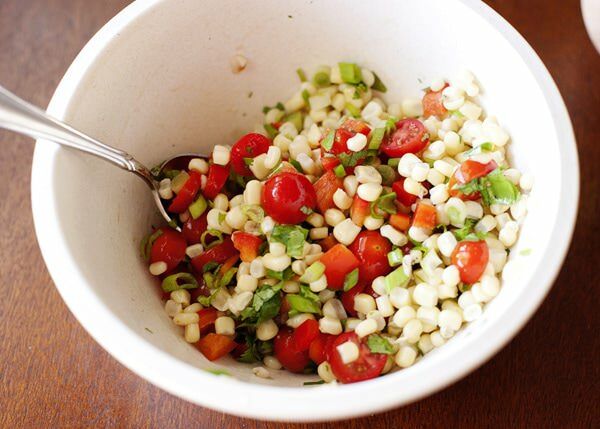 Top with corn salsa and avocado sauce. Serve with lime wedges. 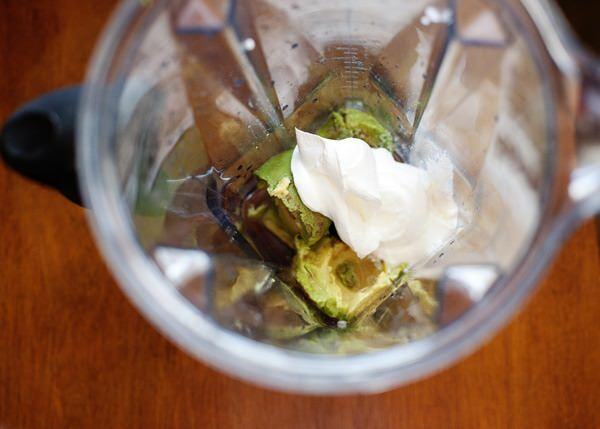 To make the avocado sauce, put the avocado, sour cream, lime, and cumin, in the blender. Blend until smooth. It is a very thick sauce, you can thin it with more lime juice or some water. The new site looks awesome. Very summery! 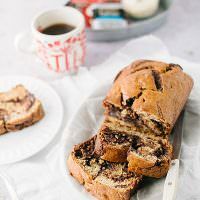 Thanks you for sharing this kind of recipe…I would like to try it this week end I am sure my family will love it..Hope you can share more delicious recipe..
Will do! I love to eat vegetarian. 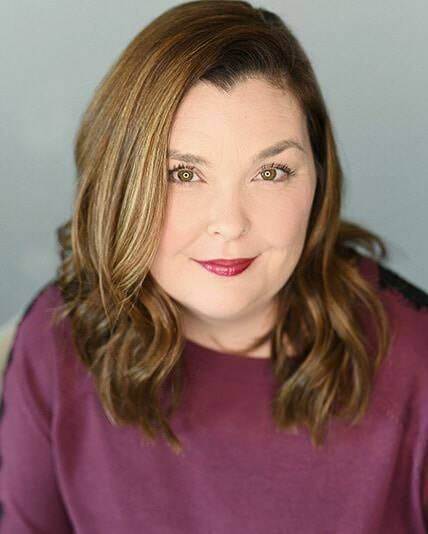 Hi, I am pretty new here! 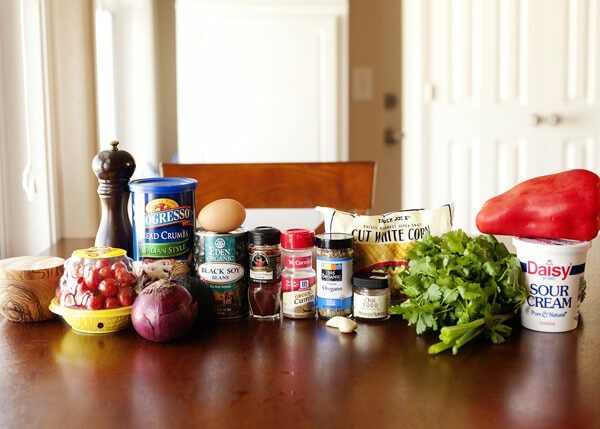 This looks delicious – and it’s something I have all the ingredients for – so we are going to try it tonight. I hope that you do Jessica! I am impressed that this does not fall apart (with care taken) even though it has whole corn kernels and only partly mashed beans in it. Must be the egg and bread crumbs keeping it together. It looks good, and with the salsa and the avocado/sour cream sauce, not to mention the bed of spinach, it’s certainly very healthy. Also impressive that you pull this off for a quick after-soccer diinner. I could do that if I made veggie burgers previously and froze them (or bought veggie burgers at Trader Joes!) but not that quickly from scratch. I think that the key is to chill them. They harden and then are more manageable. They are really good! One of my favorite dinners actually. We had these for supper tonight and they were delicious!!! Since there were only two to feed, we have lots of leftovers. I can’t stop eating the salsa or the avocado sauce. 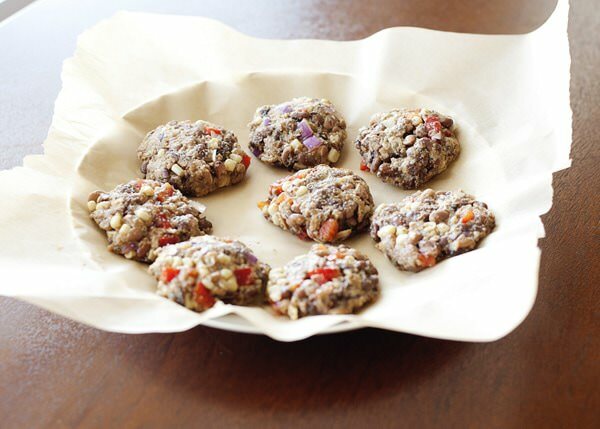 I’m going to freeze the leftover black bean cakes so I can pull one or two out for lunch when I need to later. Thanks for a delish recipe! I love this recipe, and could eat this all the time. Glad that you liked it so much. You are welcome, and thanks for the link back. Have you ever froze these? If so, do you freeze before frying or after? I have not, but I think that it would be the most convenient to freeze them after you fry and just reheat. Hi Bree! My son and I made this meal tonight, and it was deliicious! I made meatballs, too, for the non-veggie loving members of our family. The black bean burgers definitely trumped the meatballs! Thanks for your creative recipes and beautiful illlustrations! You have been a true friend to me in my menu planning! That’s what I like to hear! I am so glad that you liked them so much. These are great! I’m a college student who’s home for the summer, and I do all the cooking in my family. I always choose healthy options for us, but my parents don’t see eye-to-eye with me when it comes to quinoa, sweet potatoes, kale, and other ‘weird’ foods. When my mom took a bite of these cakes, for the first time she looked intently at me and said, “These are REALLY good. I don’t miss the meat at all.” Thanks, Bree! Wow! What a compliment! I love this recipe too. 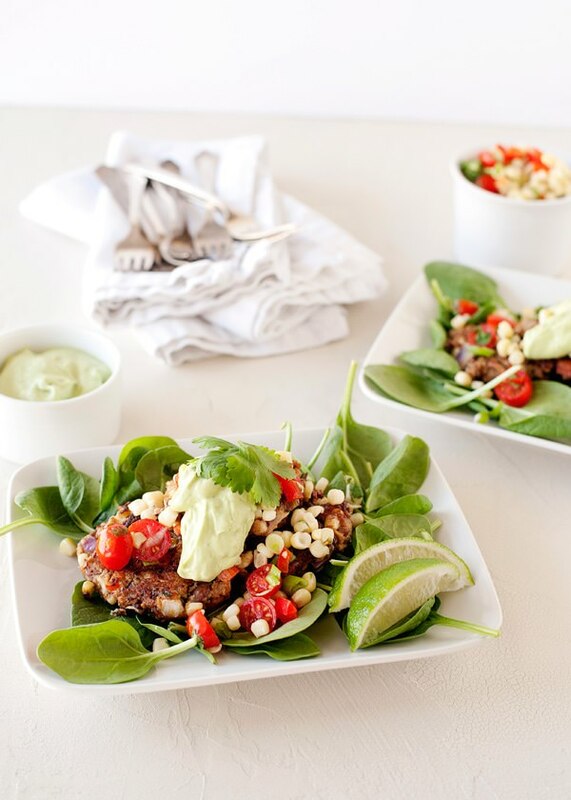 And black bean cakes are really versatile, you can make burgers, tacos, all kinds of stuff with them.